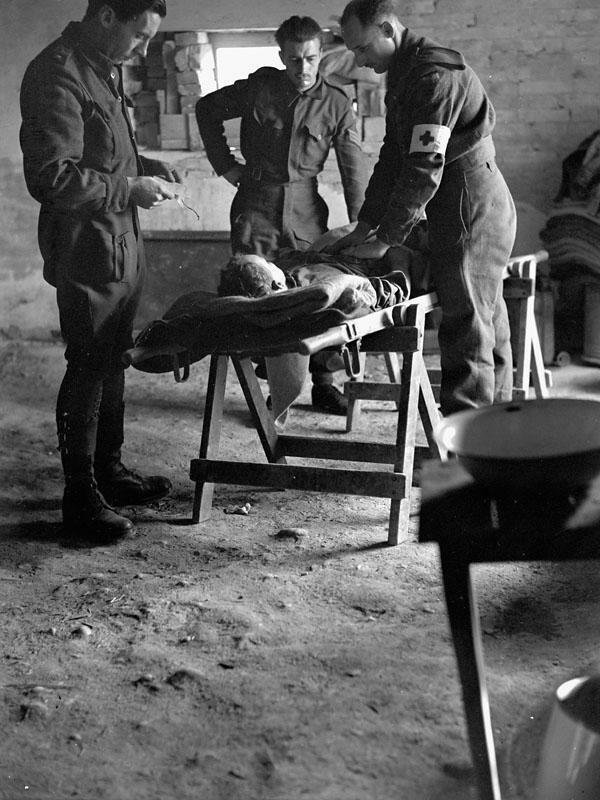 Personnel of the Royal Canadian Army Medical Corps checking the condition of a wounded Canadian soldier being evacuated to a Field Surgical Unit, Italy, January 15th 1944. (L-R): Major P.K. Tisdale, Staff-Sergeant W.H. Brigham and Private L.P. Lemieux. Photograph by Lieutenant Alex M. Stirton.